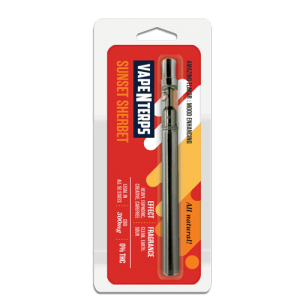 Sunset Sherbet comes from the Girl Scout Cookies line. 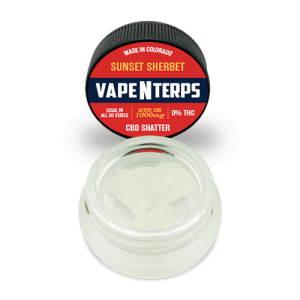 This earthy, sweet, citrus indica hybrid gives a potent, energetic, full-body effect. Physical relaxation is enhanced with feelings of euphoria and creativity. 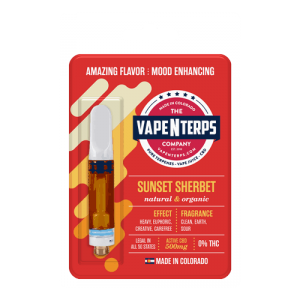 Although the list of health-beneficial components of Cannabis is quite extensive, for decades its name was primarily associated to the psychotropic effects of the THC or Tetrahydrocannabinol. However in recent years, another Cannabis active ingredient took over the spotlight completely: Cannabidiol, or the CBD. 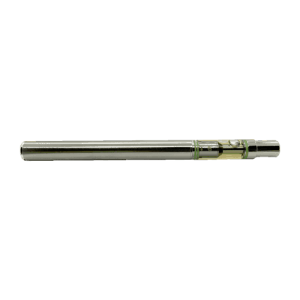 Numerous scientific researches that shared a light upon compelling therapeutic properties of CBD brought about the demand to create Cannabis Strains rich in CBD and low levels, or completely lacking the THC component. Thus a premium natural source of health was created, and the one that would not get you all hooped up along the way. 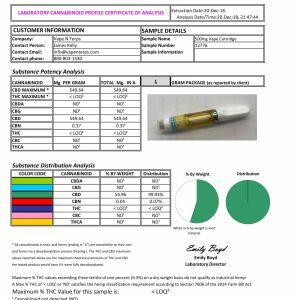 This purposely cultivated, organic product made of carefully selected specific Cannabis Strain profiles deliver tangible results in fighting number of medical problems such as inflammation processes, insomnia, help treat depression and anxiety while improving the bodily motoric functions and enhance mood, the list is long. 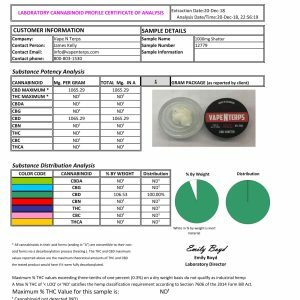 Our naturally grown, premium products do not contain added substances like Vegetable Glycerin (VG), Propylene Glycol (PG) or MCT, and are legal in all 50 states (containing no THC), and are tested at third party labs.